I know that many people on the Right here in Israel are happy that Ambassador John Bolton was appointed National Security Advisor by US President Donald Trump, but I'm not. 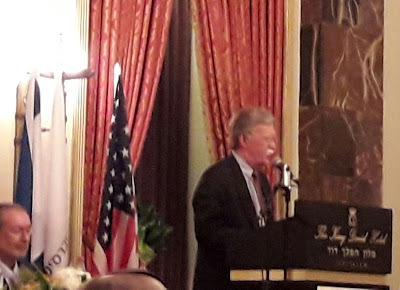 Less than a year ago I heard Bolton speak, and I was even less than unimpressed. In all honesty, Bolton's grasp of the situation here in Israel vis-à-vis our Arab enemies showed real ignorance and as much unrealistic dreaming as the Loony Left. Let me make it clear that there is chance of true Peace until the Arabs want it, and that seems very far away. When I say "far away," I mean a century or more. Redrawing borders or inventing new countries will not "solve the problem" or pacify the Arab terrorists. Israel's problem/enemy is with terrorists, terrorist culture and mentality. Arabs, with the full support of the United Nations, European Union and innumerable NGOs, are still educating their youth to idealize terror, murder and death. And this isn't only here in the Middle East. Look at what has been happening in other countries, like France. To be honest, I'm not at all optimistic.